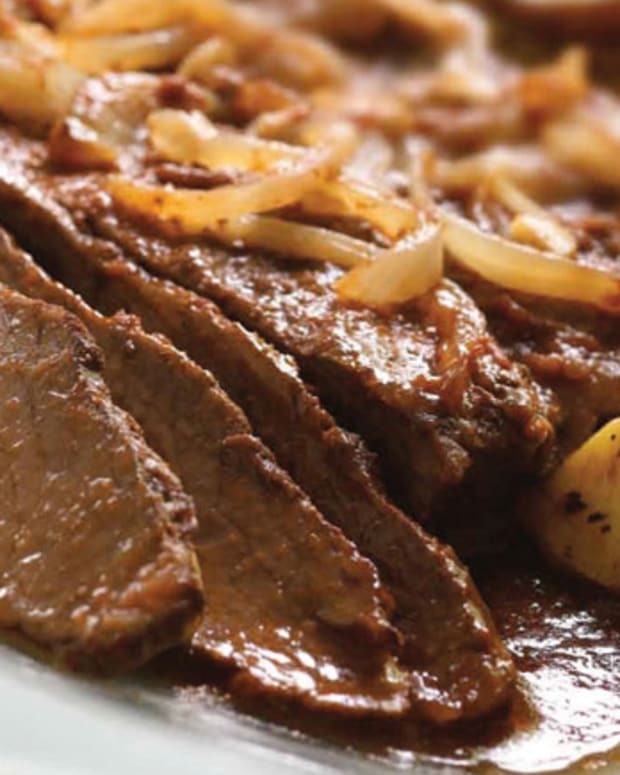 My Mexican Brisket takes 5 minutes to prep and a total of 1 hour and 25 minutes to make; it&apos;s the perfect main for your Shabbos table! 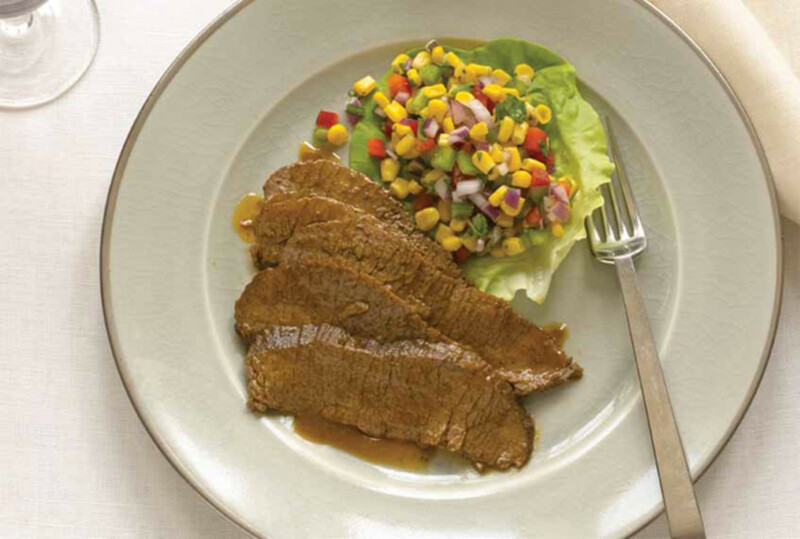 The fabulous mix of spices is what makes this brisket “Mexican.” I use a mix of cumin, coriander and ancho chili powder. 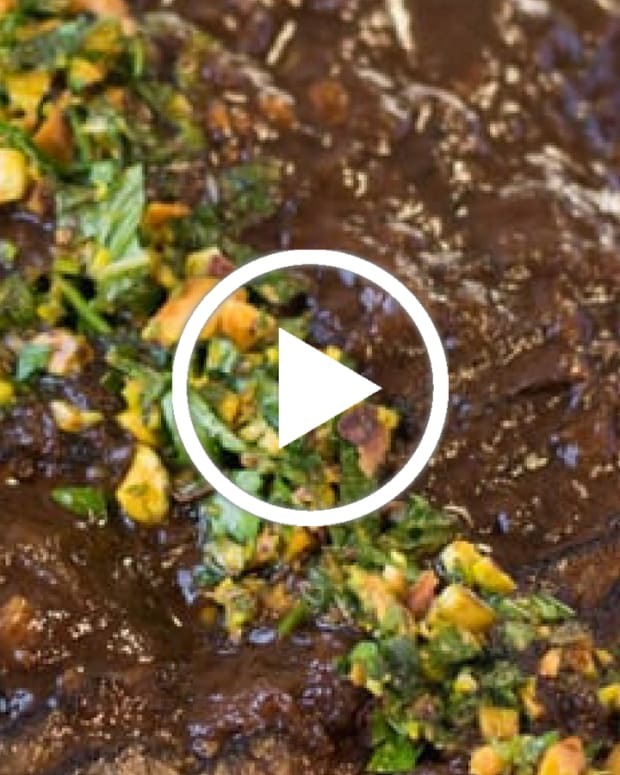 It&apos;s the ancho chili powder that gives this recipe its Mexican feel. It&apos;s a nice mild-to-moderately hot chile powder. Purchase pure powder, without additives or preservatives, for best flavor. Use it in everything -- sauces, soups, stews, and of course, chili. 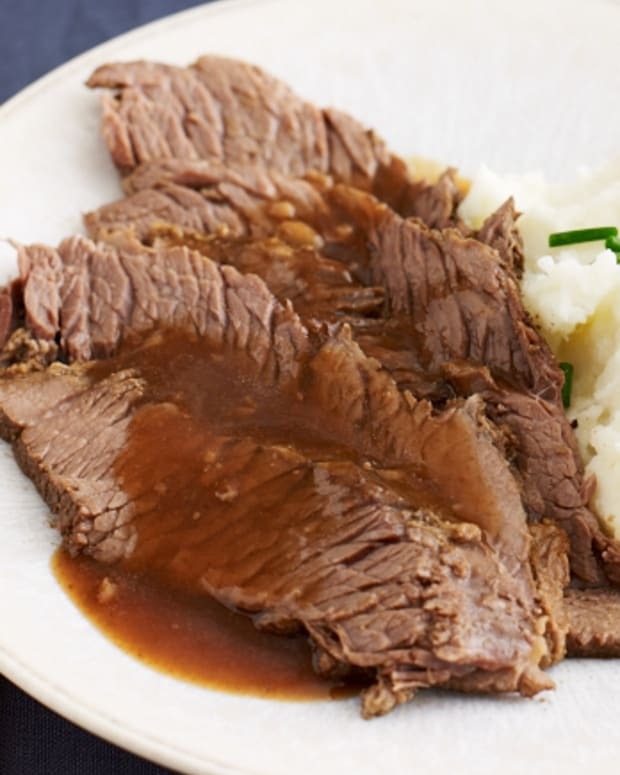 After 1 hour and 20 minutes, your brisket will be tender and tasty and it will slice easily (like for a sandwich). 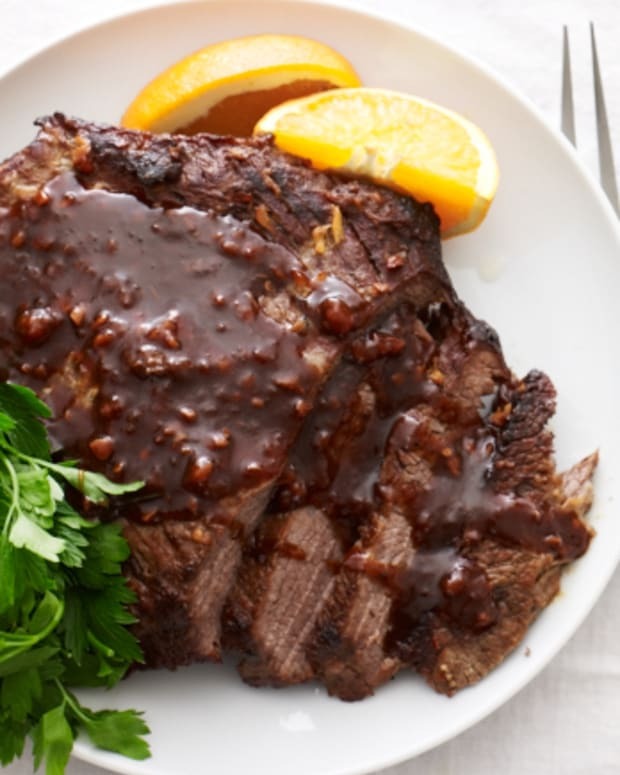 Cook it for another 2 hours, as some people prefer, and the meat will break apart easily, just melting in your mouth. There are no rules with this one. I leave you free to experiment and interpret. It’s up to you. 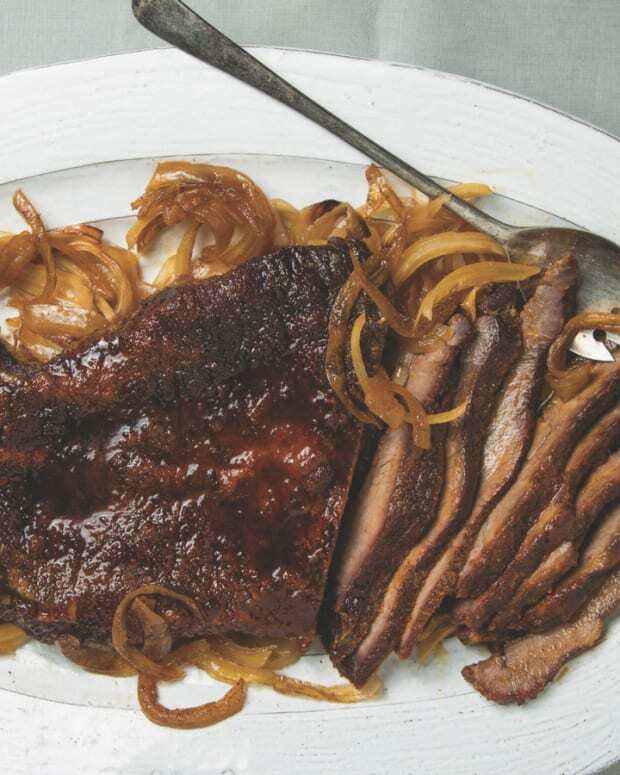 Other delicious brisket recipes include: Brisket in Wine Sauce, Braised Brisket and Roots, and Oven Barbecued Brisket. 2. In a small bowl, whisk together brown sugar, salt, dry mustard, garlic powder, cumin, coriander, and chili powder. Rub spice mixture all over the meat. 3. Heat evoo in an ovenproof heavy-bottomed pan, such as a Dutch oven. 4. Over high heat, brown brisket for 4 to 5 minutes on each side. 5. 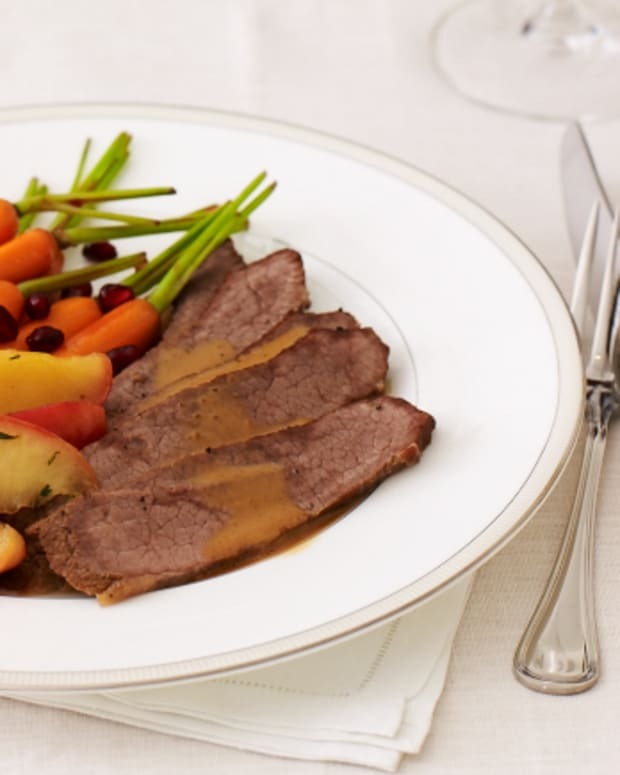 When meat is brown, add broth, cover, and place in oven at 375°F for 1 hour and 20 minutes.